It was in London in 2010 when I was first introduced to Ottolenghi by my Aunt. 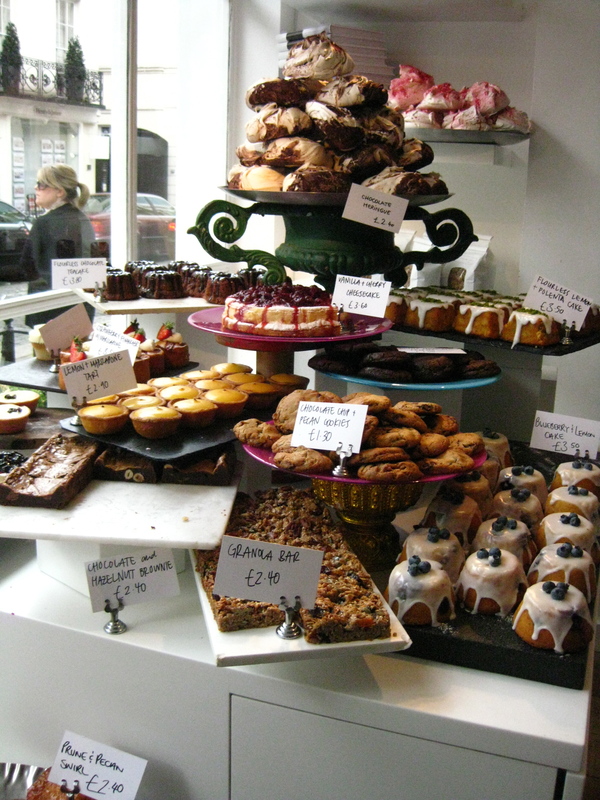 We had just had lunch elsewhere and popped into the Ottolenghi restaurant in Belgravia to grab some sweets. I remember being very impressed with the mouth-watering mountain of baked goods in front of me, in fact I’m pretty sure I took a photo…. Wondrous. That was back before I had a decent camera, so grainy! Yotam Ottolenghi is an Israeli-born chef who owns restaurants in London and possibly elsewhere. Anyway, a few months ago I was scouting around for a delicious cake recipe and my sister sent me the recipe for Ottolenghi’s Chocolate Fudge Cake. Remembering how good the lemon cake I sampled in London was I made it straight away, altering the recipe just slightly upon her recommendation. 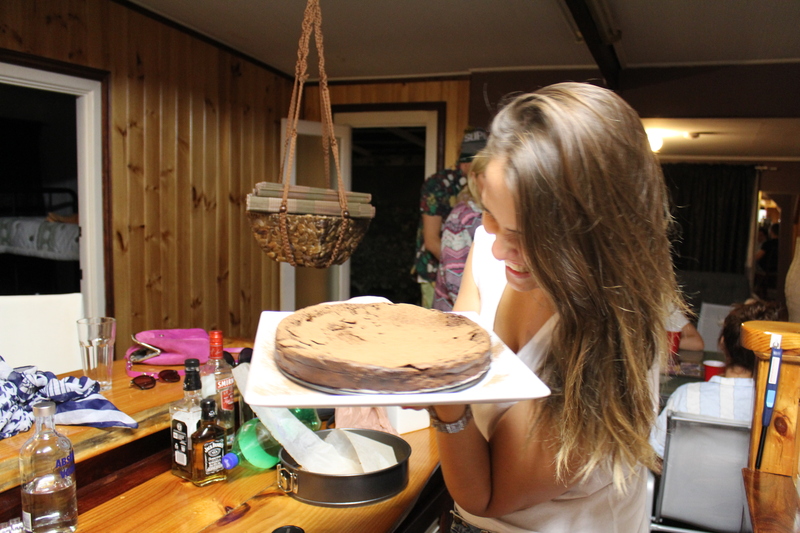 I made the cake again on Friday and took it down to the beach for my friend Claire’s birthday weekend. The poor cake sustained a nasty dent thanks to someone who threw a canned drink onto the back seat of the car not realising the cake was there. But it was still delicious. How something with an entire block of Lindt chocolate and an entire block of Club chocolate could not be delicious is beyond me. Preheat your oven to 170°C (350°F) and butter a 20cm (8″) spring form pan and line the bottom and sides with parchment/baking paper. In a large heat proof bowl, combine the chopped chocolates and butter. Combine the muscovado sugar and water in a small sauce pan and bring to a boil over medium heat, stirring frequently. Pour the boiling syrup over the chocolate and butter and stir until they have melted. Add the egg yolks, one at a time, to the chocolate mixture and then set the bowl aside until the mixture comes to room temperature. In a large bowl, beat the egg whites and salt to a firm but not dry meringue. Using a rubber spatula, fold a third of the meringue into the chocolate mixture. Once combined, add another third, fold and then fold in the remaining third until just combined. Now here’s when Ottolenghi tells you to twice bake the cake. If you want to follow that that method click here otherwise just whack the cake in the oven for 50-55 minutes or until a skewer comes out clean with a few moist crumbs clinging to it. 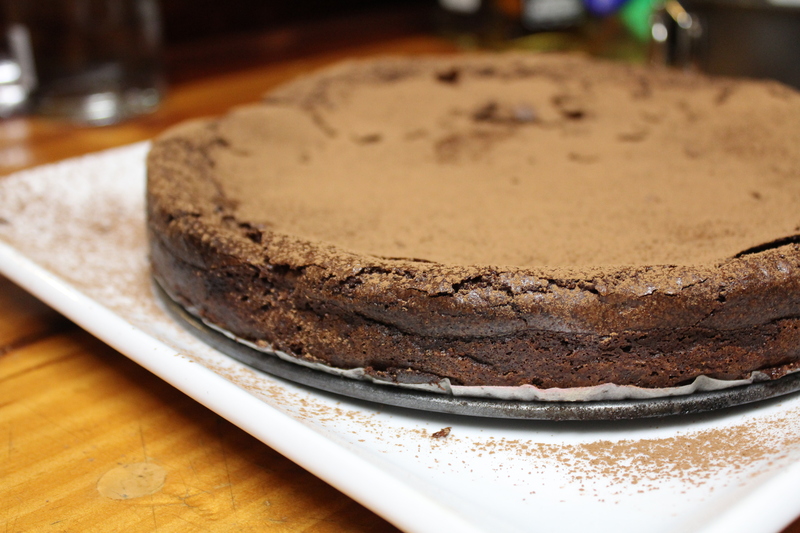 Allow to cool completely before dusting with cocoa. As you cake see we ate the cake in the delightfully retro beach house we rented. How I love a hanging basket, practical and aesthetically pleasing! You should definitely try this recipe, I promise you won’t regret it! 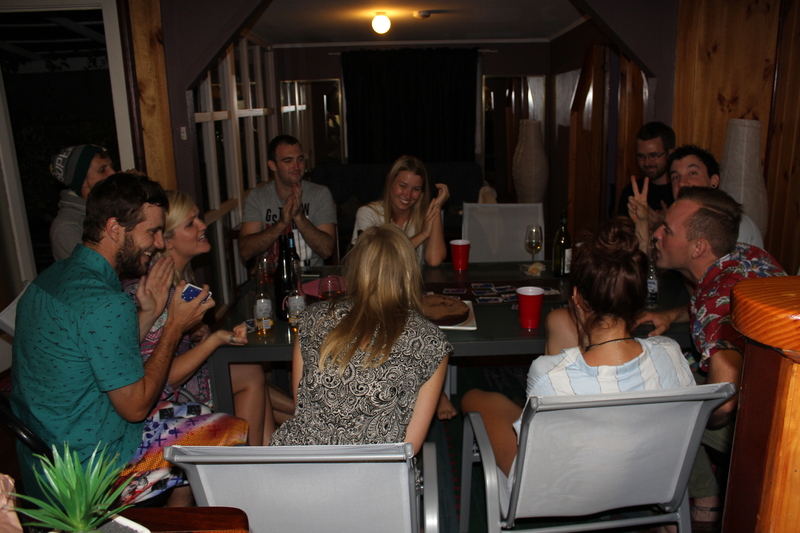 More on our awesome weekend to come. 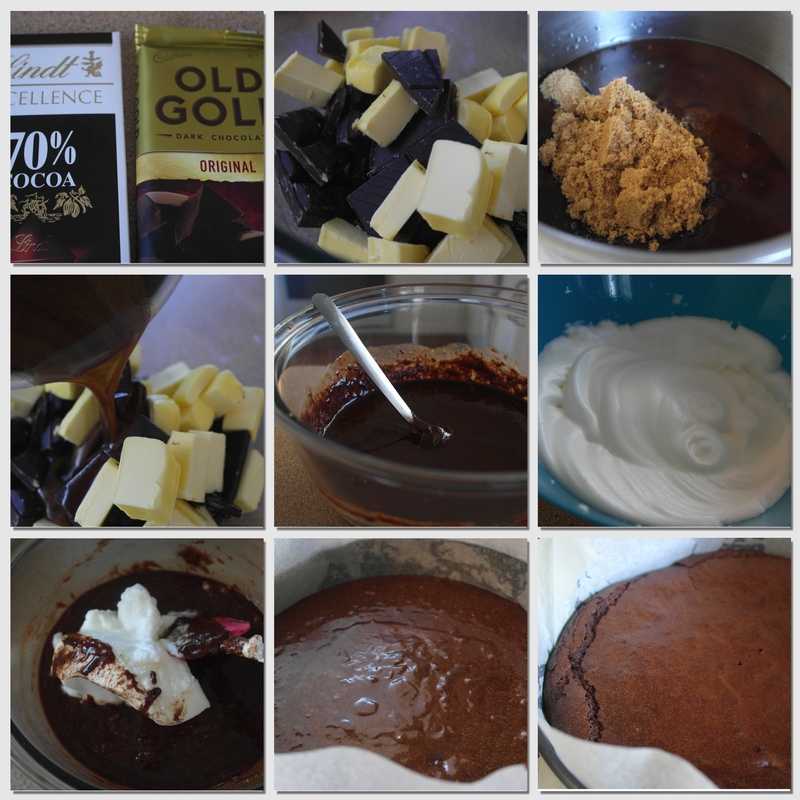 This entry was posted in Food and tagged Cake, Chocolate Cake, Chocolate Fudge Cake, Ottolenghi, Ottolenghi restaurant, Ottolenghi's Chocolate Fudge Cake, Recipe. Bookmark the permalink. Love Ottolenghi, recently bought their “Plenty” book for some of their great vegetable dishes, I didn’t realize they were baking gods too! 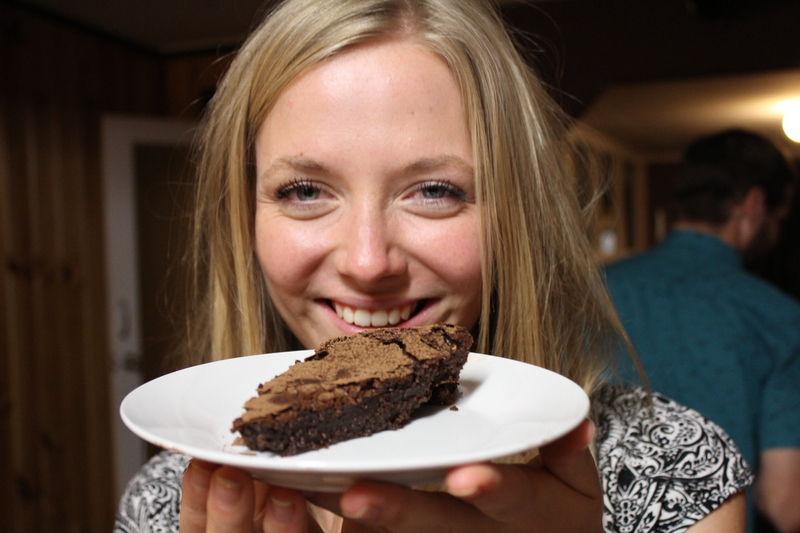 Thanks for sharing this recipe, definitely one to try some day soon. 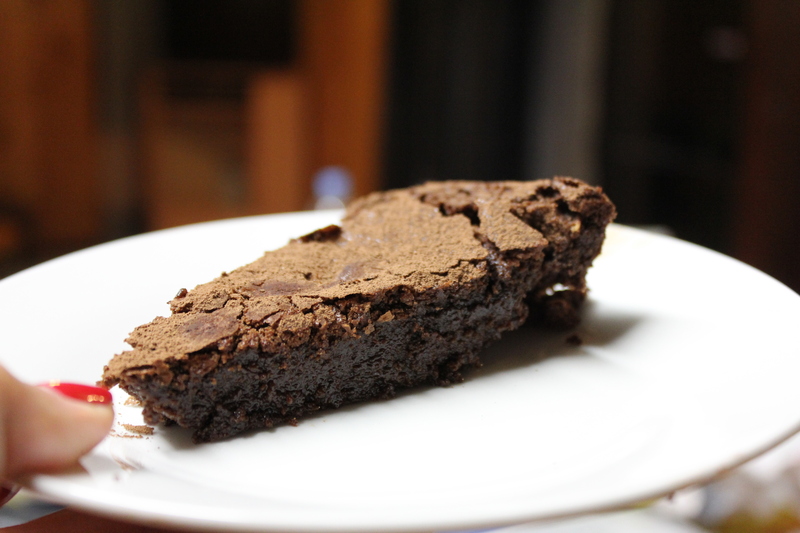 When I tried to make this, I split the chocolate when I added the sugar to the chocolate butter, had to write off a lot of organic chocolate and butter. My sugar mixture was obviously too hot. Second time around I melted the chocolate and butter over hot water and added the cooled sugar mixture.